Standard Register is a company in Dayton, Ohio which provides document management services. Their clients include thousands of hospitals and many large financial institutions and other companies. Yesterday, April 28, it launched a new "corporate focus", which was marked with a new logo. The new focus is on advancing the costumer's reputation, which explains the tagline "Advancing Your Reputation". The previous tagline was "Managing the documents you can't live without". Dnata is an aviation services company which provides ground handling, cargo and catering on several airports around the world. It claims to be the fourth largest in its field with 20,000 employees on 73 airports in 38 countries across five continents. The Dubai-based company is a part of The Emirates Group, whose most prominent brand is the Emirates airline, one of the world's largest passenger airlines. Today (April 28), the company unveiled a new identity which had been created by Brash Brands, also a Dubai company, who were given the task last August. Dnata has grown rapidly lately through acquisitions and joint-ventures, with the problems that brings in the form of mixed corporate cultures and the absence of singular visions. An important objective of the rebrand has been to create a more united company. As for the new logo, it carries on the colors green and blue from the old logo. It is a pretty straight-forward and friendly wordmark, with the triangles in the letter D giving it some character. Those triangles are then used extensively when the new identity is applied. The previous Dnata logo was introduced in the year 2000. Dnata's previous logo, used between 2000 and 2011. Milliken is a U.S. textile company which creates fabrics for many different uses, as well as chemicals, and is based in Spartanburg, South Carolina. On Tuesday, April 26, it revealed a new logo at a press conference. The new logo is based on the signature of Dr. Robert Milliken, who lead the company for more than a half-century, and died in December last year. The company considers he logo to be "simple, playful, bold" and signalling "a continuing commitment to excellence, leadership, and ethics". The previous logo contained a symbol called the "industrial M", which has served the company for decades. American trademark designs (the ultimate reference for American 50s-70s corporate identities) claims it was designed in 1970 by Lefkowith, Inc. That is the only source I've found for this logo's creation, but I have no particular reason to believe it to be inaccurate. It seems the logo has been used without changes from the 1970s until this week. Sweden's seventh largest television channel, TV4 Plus, changes its name to Sjuan ("the Seven"), with a new logo. In several countries, television networks name themselves after a number in order to claim that number on the remote control and be listed by that number in programme guides. This is the case in Sweden, where all the major domestic commercial entertainment channels are named after a sequential channel number, and have successfully claimed that button on the remote control. Last year, they went double-digit with the launch of TV10. One exception to this rule has been the dominating commercial broadcaster, the TV4 Group, which has named its channels after its primary channel TV4. With this naming strategy came a beautifully consistent, friendly and distinguishable set of logos. Many can be credited to Barbro Ohlson-Smith, who has her own agency, but used to be graphics director for the network. Recently, TV4 has revised their naming strategy and followed suit with numeric names and independent identities for their broad entertainment channels. It started with its youth channel TV400 which took the lowest available number and became TV11 in January. The plan now continues with their second channel, which until now has been called TV4 Plus. Yesterday, April 26, it was announced that it would be renamed Sjuan ("the Seven") with a new look. The renaming makes sense, as until now TV4 Plus has been the seventh channel in all but name. It is the seventh most watched channel, many newspapers list it as the seventh channel (between TV6 and TV8) and most people have it on number 7 on their electronic programme guide. The number 7 is however contested, as reported in February, there is another channel which has failed to claim the rights to the name "TV7" and is now known as TNT7. Another channel which claimed number 7 was the immigrant channel Canal 7, which changed its name to Kanal Global on March 16. As for the new logo, it keeps the circle and the light blue colour from TV4 Plus' logo, creating a new take on the "circle 7" concept. When TV4 Plus started in 2003 it was a channel for sports, gambling and hobbies, but it has over time developed into a broad entertainment channel for a female audience. The renaming will take place after the summer. Current TV4 Plus logo, used since 2007. The previous logo for TV4 Plus was launched on February 5, 2007 and created by Ohlson-Smith. O Boticário is a Brazilian chain of cosmetics stores. It claims to have over 3,000 stores in Brazil, and a few more in several countries around the world. The name roughly means "the pharmacist". It was founded in 1977, and on March 23 it presented a new visual identity to celebrate its 34th anniversary. It was created by FutureBrand in São Paolo. The new logo uses a fresh typeface and the B is turned into a calligraphic monogram with swirling lines, intended to convey "femininity and beauty" with "floral elegance". Several color combinations are available. The B monogram can be dislodged from the rest of the type and be used separately or in different lock-ups. O Boticário also launches a new tagline; A vida é bonita. Mas pode ser linda, which means something like "Life is good, but it can be beautiful". The roll-out of the new mark is gradual, the press release says an ad campaign was launched on March 27, and that the first products with the new logo would appear on April 11. The previous logo was introduced in 2007. It was designed by Oz Design. The logo used before that was a green rectangle with the name written in a common serif font. Stora Enso is a Finnish pulp and paper company, formed in 1998 when the Swedish forestry and mining company Stora was bought the Finnish forestry company Enso. On April 20, it revealed its first new corporate identity since the merger. The rebrand is a part of a corporate inititive called "Rethink", which went public with the new logo. The basic idea is to challenge old ways of doing things and finding new solutions inside the company and amongs its stakeholders and costumers - in short "rethinking". The company has also rethought the annual report, which has been replaced by a "Rethink Report", released with the rest of the Rethink stuff. Suitably, the word "rethink" is at the center of the new company symbol which is "inspired by the petalless flower of the eucalyptus tree". The new logo has been created by the Helsinki creative agency N2's Canadian-born creative director Brian Kaszonyi. A study of StoraEnso's corporate image was done by Kuulas MillwardBrown. C&A is a European clothing retailer, tracing its roots back to the 1841, when two brothers founded a textile company in the Netherlands. Its first German store opened 100 years ago. Today it is present in most countries on the European mainland with 1,490 stores on the continent. The company logo has long been an oval with the name on it, and for the last decades, the oval has been blue with white serif text and a red border around it. The logo has been updated throughout the years to keep up with the times. This last happened in 2005. Yesterday, April 20, C&A presented a new version of their logo during a press conference. The new logo removes the oval and turns the letters blue. Other elements, such as the typeface used for the letters and the border seem to be unchanged. The University of Erlangen-Nuremberg is a university in Erlangen and Nuremberg in Bavaria, Germany, founded in the 18th century. Its German name is Friedrich-Alexander-Universität Erlangen-Nürnberg, and its is named after the founder and one a strong supporter. Those two men can also be seen in the university's seal. The university recently revealed a new visual identity, with a press release issued April 5. The new identity is centered on the initals FAU, until now used internally at the university. The three letters have then been divided into ten lines, à la IBM, and an interesting ligature has been created between the F and the A. The rebrand is credited to a Munich agency called Büro für Gestaltung Wangler & Abele. The main colour is dark blue, but there are also logos for each of the five faculties where the two lines in the middle of the logomark have been coloured with a faculty colour. The faculties previously had their own logos that weren't related to the main university logo, so the rebrand brings some uniformity in university communcation. The previous logo consisted of the name in full with a seal and some boxes and lines. It was reportedly introduced fifteen years ago. The seal will remain in use, for example as a watermark on stationery. The main logo with faculty logos. The Yellow Pages Association is trade association for directory services such as Yellow Pages publishers in the United States. Yesterday, April 18, it changed its name to the Local Search Association, recognising the industry's evolution from publishing catalogs to providing local search in general. With the namechange, the association gets a new logo. The previous logo included the "walking fingers" symbol on a stack of yellow paper with a cursor. The new one keeps the walking fingers, but uses the updated and sleeker version, replacing the A in the word local. The Danish Ministry of Education, Undervisningsministeriet, has launched a new identity. The new look was launched around the beginning of March, very likely on March 1 when the ministry was reorganised. The new logo keeps the ministry's clever symbol, a Royal crown which includes an open book. It has been redrawn for clarity. It also has new typography. Danish media reports about the new logo have mostly centered around the fact the logo doesn't include a hyphen after "Utbildnings", which is the common Danish syllabification. The point is slightly moot as the previous logo didn't have hyphen either, and that it is quite common to exclude hyphens in logotype. The old identity was launched around the turn of the millenium. InterGlobe is a Indian aviation and travel corporation with more than 8,500 employees. It owns the low-fare airline IndiGo and operates a hotel chain as joint-venture with Accor. On Saturday, April 16, the company unveiled a new corporate identity. It is credited to London brand consultancy Circus and Mumbai design agency Grandmother India. The new logo contains a symbol with six spokes with different lengths and colours. The spokes can animate to change their length and position. The main Interglobe logo and the logos of its six corporate divisions all use different interations of the symbol. The position of the "axle" in the symbol does however not change. The six spokes probably represents to company's six divisions (or 'verticals'). The changing and fluid nature of the symbol represents change and fluidity, and the unchanging center probably stands for stability and sticking to core values. On Wednesday, April 13, Gestevisión Telecinco, one of the largest media companies in Spain, announced that it was changing its name to Mediaset España Comunicación. The history of Gestevisión Telecinco dates back to the late 1980s when it was one of three companies to receive licenses for national terrestrial television networks (the others being Antena 3 and Canal+). The Italian media company Mediaset was involved from the start and would soon control the company. For a long time, Telecinco was the company's only television channel, but lately it has expanded with the launch of digital channels and the aquisition of its competitor Cuatro and a share in the digital satellite platform Digital+. The logo combines aspects from both Telecinco's logo and its corporate parent Mediaset to create a wordmark. The "Mediaset" part is borrowed from the Italian Mediaset logo and uses the same colour and the same typeface (Gill Sans Italic), but excludes a symbol with a snake and a flower, possibly because it is irrelevant to the Spanish public. The "España" part uses a slab serif called Corporate Demi Italic. The navy blue colour is used in the logos of Telecinco and two of its digital channels. The tilde sign has been replaced by a part Telecinco's logo (the "flag" in the 5 numeral) and the wordmark ends with a dot, also from the Telecinco logo. The new identity was created by Summa, who created a cohesive design for Telecinco and its digital channels a few years ago, and were also behind the rebrand of state broadcaster RTVE. Previously, the company used Telecinco's logo as a corporate logo. It will still be used by the television channel. The Polish Football Association is organisation which governs soccer in Poland. It is also known by its abbreviation PZPN (for the Polish name Polski Związek Piłki Nożnej). Yesterday, April 14, it revealed a new visual identity at Teatr Capitol in Warsaw. The colour scheme from the previous logo, the Polish national colours red and white with gold, is carried over the the new one. At the center of the new logo is an invisible sphere, representing the ball, with a shimmering gold ribbon wrapped around it. The crowned eagle from the old logo can bee seen at the top of the sphere in the form of a silhouette made up of the ribbon. The new identity was created by Warsaw design agency SaltPepper Brand Design, with specific credit to their senior designer Andrzej Antoniuk. The reband process started last autumn. In January it was reported that PZPN was going to get a new logo, when it was also reported that SaltPepper Brand Design was designing it. Deutsche Eishockey Liga (DEL) is a German ice hockey league, one of the most prestigous ice hockey leagues outside North America. Yesterday, April 13, it presented a new visual identity. The first time it will be used in a game will be tomorrow, April 15. The new logo includes some features associated with ice hockey, such as a puck and a rectangular frame with rounded corner representing the rink. It is coloured red, as that is the strongest signal colour. The new look was created by the Cologne agency buergerclever, who had previously done other work for DEL. St. Vincent and the Grenadines (abbreviated SVG) is an island nation in the Caribbean. Last weekend (April 9), the St. Vincent & the Grenadines Tourism Authority (SVGTA) unveiled a new logo to market the island nation to tourists. The logo uses SVG's national colors, and at the center is a flying seagull which replaces the V in St. Vincent. The new logo was created by Lonsdale Saatchi & Saatchi Advertising Limited from Trinidad and Tobago. Mothers Against Drunk Driving (MADD) is an American non-profit which seeks to stop drunk driving. Yesterday, April 12, the organisation unveiled a new logo. The previous MADD logo was unveiled in August 2002. The new one keeps the drink-and-car-keys icon from the previous logo, but gives them a different, less cliparty design. The prohibition circle is replaced by an X mark. The typography switches from caps to lower case. Taiwan-based electronics company Acer has launched a new logo. It was reportedly rolled out this Monday, April 11. So far, there hasn't been much media attention given to the logo change, and Acer doesn't seem to have issued a press release about it either. The casual observer may not notice the logo change, but some clear differences can be seen when you have the new logo and the old one side-by-side. The new logo uses a different typeface with more rounded corners and the e doesn't stand out from the other letters anymore. The new logo also uses a different shade of green, which has been dubbed "Acer Green". The previous logo was rolled out ten years ago, on March 8, 2001, when the Acer "diamond" was abandoned. It was created by Landor Associates. Snyder's-Lance is a United States salty snacks company. It was created from the merger of Lance Inc. and Snyder's of Hanover last year, the deal was closed on December 6. Yesterday, April 11, a new logo for the merged company was presented. As we see above, it is a friendly wordmark written in maroon color with a quirky serif typeface with some interesting curls. The company stresses that this is a corporate logo and that brand logos will remain. The United States is blessed with hundreds of sports-themed television networks, and there are more coming. One new network scheduled for a launch this August will showcase sports from the University of Texas at Austin and is a partnership between UT-Austin, ESPN and sports media company IMG. 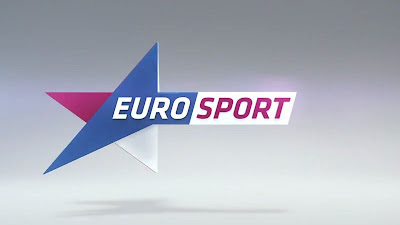 On April 3, 2011, the name and logo for this network was revealed. It will be called "Longhorn Network", after the sports teams at UT-Austin, and the silhouette of a Longhorn head is also used by the sports teams. The United Nations has a long history of proclaiming international years. For example, we are now in the middle of the International Year of Chemistry. 2012 will be the International Year of Cooperatives (IYC). The logo for this event has recently been revealed. It was posted to the IYC Facebook page on March 21, and launched in full on April 5. The logo was developed by the Graphic Design Unit at the United Nations in New York. Many logos for UN activities involving human beings include pictograms of people, and so does this one. It is made up of seven people in different orange shades holding up a cube in the same orange shades. There are six official language variants in Arabic, Chinese, English, French, Spanish and Russian, the official UN languages. Yesterday, April 7, the Dutch mail and logistics company TNT announced that its mail division, TNT Post, would be rebranded as PostNL. This is part of TNT's divestment of the mail division which will be turned into an independent company with activities in Netherlands, Belgium, Germany, the UK and Italy. "Royal" will still be a part of the company name, and a crown will still be included in the logo. The new name will launch on May 31, after approval from shareholders on May 25. The new look will then be rolled out in the Netherlands over a period of time, and later in International markets. This is the third renaming for the Dutch postal service in a decade. It was called PTT Post until 2002 when it became TPG Post, and then in 2006 it became TNT Post. Russia has over a dozen different national television networks, most of them started in the 1990s. One of them is the music television network Muz-TV (Муз-ТВ in Russian), which started in the mid-1990s. Muz-TV is an abbreviation of Muzikal'noye televideniye, and that happens to be Russian for Music Television. The American Music Television (MTV) came to Russia a few years later. Just like its counterparts around the world Muz-TV is facing competition from video sites such as Youtube (or the Russian equivalent, Rutube). And we recognise Muz-TV's solution: replacing pure music TV with broader youth programming, including reality shows and pop culture. Recently Red Bee Media presented a new identity they have created for the network. Design Week reported about the new look on March 31, saying that it would launch in April. I have found nothing on when it will actually launch, or if it already has. 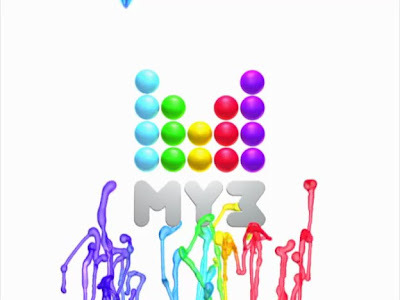 Muz-TV's existing logo contains a stylised M made up of dots, which looks a bit like equalizer bars. It is by far the most memorable and distinctive logo I've seen the channel use, so they were right to keep it. The identity is based on the logo and the colours within it, which kinda covers the entire rainbow. Those colours are then used in a flying liquid figure which is seen in all on-air graphics with lots of colourful items. Red Bee Media have posted a video and more information on their website (archive). Based on that video, it seems like the graphics were delivered in 4:3 format. You rarely see that these days. Some screengrabs after the jump. 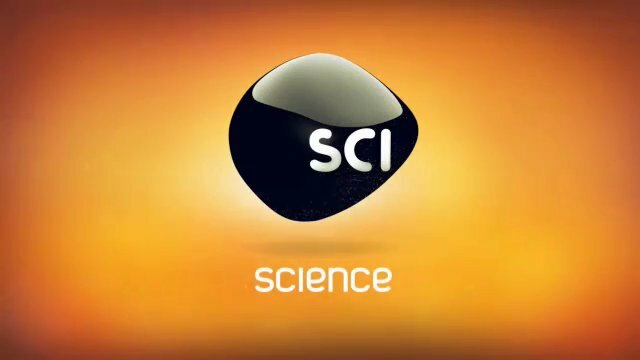 Yesterday, April 5, Discovery Communications unveiled a new look for the Science Channel, a United States television network with mostly science-themed programs. It gets a new logo, and also shortens its name to just Science. The new look will launch on-air on June 8 for the season premiere of Through the Wormhole With Morgan Freeman. The rationale behind the namechange is that Science is not only a TV channel, it is a multiplatform brand. This is a common reasoning in media branding today. The programming has also changed lately to include scripted series like Firefly. The new logo is a grey-black blob with "SCI" written on it. It is called "Morph" and can take on different shapes and textures. Science Channel have posted a montage of the new ID spots on their Youtube channel, showing different form-ups. The six ID's posted are titled "Unknown", "Unconventional", "Unreal", "Unexpected", "Unseen" and "Unexplained". One of the new IDs. presented the logo with this 3D effect. MaltaPost is the national postal service in Malta. A couple of weeks ago it presented a completely new corporate identity, a press release was issued on March 25. MaltaPost was formed in 1998, and the previous logo was also introduced in the late 1990s. It used a blue and yellow colour scheme with a stamp symbol. It has been swapped for a red, white and black logo containing a post horn with a Maltese cross. Red and black are also the colours of the classic pillar boxes that can be found around the country, a heritage from when Malta was a part of the British Empire. Reports hint that black and red have historically been used as corproate colours by the Maltese postal service. The new look will be phased in over time. No word yet on who created the new look. New logo: Ivar's seafood, April Fools? This year saw some great rebrand hoaxes, for example Brand New's Home Depot rebrand. One rebrand which was presented on April 1 is however yet to be retracted. Ivar's is a regional seafood restaurant chain based in Seattle, Washington. They have long used a logo with the name written in cursive, with a wavy line extending from the I to underline the name. Last Friday, they presented a new logo which removes the name, leaving only the wavy line and the tagline "Since 1938". Now, what speaks against this being a permanent rebrand? For starters, Ivar's are known in Seattle for elaborate marketing stunts. Ivar's is also based in the same city as Starbucks, who made similar rebrand earlier this year when they removed the company name from their logo. They have even posted an image of historical paper cups standing in line, just as Starbucks did back in January. The press release is crammed with marketing speak about "embracing change and being fluid", "adapting as a brand" and "evolving forward". Ivar's is taking a risk by dropping its synonymous cursive company name from their logo, but our extensive research showed people simply don't read as much as they used to, especially cursive, given people's tendency to text and microblog -- it was no longer relevant. One thing which speaks against this being a hoax is the fact that the minimalist logo still adorns the Ivar's website. Generally, you retract an April Fools joke on April 2. As this site reported back in February, the Pan-European sports channel Eurosport is about to launch a new look with an altered logo. At the end of March, the final graphics package was revealed on several media sites. The rebrand goes live on April 5. The new look comes with six new cinematic idents created by Les Télécréateurs. They have different emotions as their theme, combining different sports to convey them. New music has been created by Massive Music from Amsterdam. A few examples of on-screen presentation and graphics follow after the jump. For even more visuals, the French TV presentation site lenodal.com has great coverage, a has Art & Business of Motion. The Australian Broadcasting Corporation (ABC) is Australia's public broadcaster. After expanding its portfolio during the last few years, it now has four television channels: the main channel ABC1, the supplementary channel ABC2, the children's channel ABC3 and the news channel ABC News 24. After relaunching ABC1 on February 6 (archive), the corporation have now followed up with ABC2, for which a new look was unveiled and launched today (archive) (April 1). The new logo is limegreen, and the graphics also use similarly bright color pink. The new tagline also happens to be "Always Brighter". You can see more video on ABC's website. The previous identities for ABC1 and 2 were both introduced on February 8, 2008, when ABC TV was renamed ABC1.